Kent Kirkland has been recruiting and placing permanent engineering, scientific, software, and other technical personnel on a contingency basis since 1981. He spent his first six years with a large full service agency, spent another six years as a subcontractor with another agency specializing in technical and software engineering, and then opened KirklandSEARCH, Connecticut agency registration # 2011458, in Shelton, Connecticut in August, 1993. After being located in Beacon Falls, CT from 2007 to 2018, the office is currently located in Seymour, CT. He conducts both local and national searches, depending on the client’s requirements. He has recruited a wide range of technical personnel over the years, including all types of mechanical, software, hardware, sales, applications, quality, chemical, and manufacturing engineers, chemists, biotechnology and information technology professionals, management personnel, scientists, support staff, and more. Seeking long term business relationships, Kent uses straightforward, “trust-based” sales methods, and he takes a direct, forthright approach in dealings with both client companies and recruits. 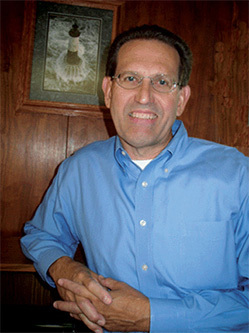 Kent Kirkland holds a BA degree in History from the University of Delaware. The National Association of Personnel Consultants awarded him the Certified Personnel Consultant designation in 1984. In 1989, he completed the Dale Carnegie Effective Communications & Human Relations program. Kent is married to a school teacher and has a daughter attending Southern Connecticut State University. Originally from Delaware, after living in Virginia and North Carolina, he relocated to Connecticut in 1979. Kent is the son of the late J.J. Kirkland, PhD, a research scientist internationally recognized as being an expert in the field of High Performance Liquid Chromatography (HPLC).